I just finished this novel and I'm not entirely sure what I feel about the ending, because it is quite an ending, but I loved the book. Maybe as I write this review I'll discover my feelings on it. For now let's get to why I loved this novel. First off there are some really cool things in this book. 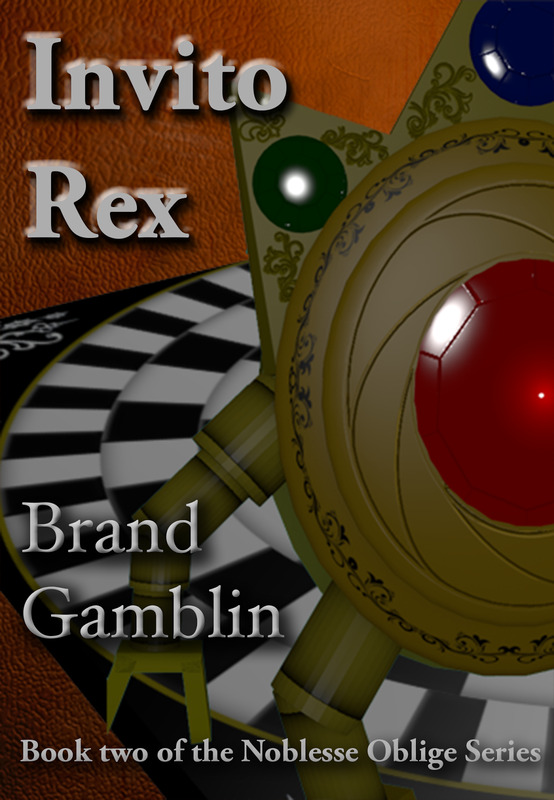 Some really cool games that Brand invented, and an awesome automaton. Who would not like a game called Bear Polo, I mean that's just cool. Early on in the novel there is a very important game of bear polo that is played, and what happens in the game pushes the rest of the story forward. Yes, dudes riding on big majestic bears in a polo match. While I am talking about games, there is another really cool game in the book called Circus. 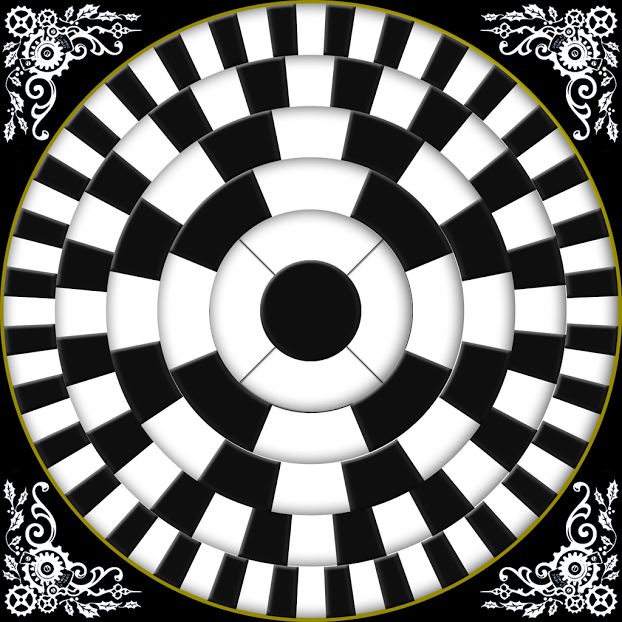 It's kind of like chess but the board is circular with a checkered pattern radiating out from the center. I really enjoyed how Brand described the different game pieces, how they moved, and what they symbolized. It was some pretty witty stuff. There is actually a graphic of the board game which you can see below. Really cool stuff right? Moving on. I really like the characters in this book, especially the main character Dizzy. He was very real and fleshed out brilliantly. His witty dialog often had me laughing as he diffused tense situations. It helped that I read this book by listening to the audio version over at Podiobooks.com. Brand did a wonderful job with the dialogue. He's not bad at accents either, and sometimes he drastically changes the pitch of his voice but it's never cheesy. He doesn't go high for girls, but rather low for certain characters. Brand has a good low grumble voice that works great for some characters. As I think back on this novel, there was a lot of dialogue and it really brought the characters and story to life. Something just struck me, I don't usually like books with a lot of conversations but I loved this book and much of it was conversation. I'm struggling through The Way of Kings right now because there's just so much talking that I'm really bored - and I have loved all of Brandon Sanderson's other novels. Usually I get bored when a book is full of dialog but that's when nothing is happening. Huge info dumps where you learn about the story world but meanwhile the story isn't moving forward. The characters are just sitting there yammering on and on. Thankfully that's not what it was like in this book. A lot of great stuff happens, but as I'm thinking back on the story a lot of it was conversations and I loved every minute of it. They were conversations that moved the story forward. Maybe it's because they fit the story so well. The main character has been newly appointed as king and there is a lot he has to figure out. His interactions with the nobility and other characters was really fun to read and many times hilarious. Dizzy did not act in a way that he was expected to as king. Seeing him shock, surprise, and disturb the ways of the royal court and meetings was good fun. The other character I loved is the one you can see on the cover named Scepter. 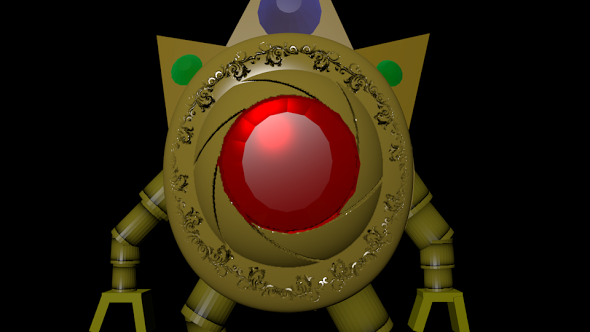 He's a crown, or a bracelet, or a robot, or any number of things. He is with the King at all times, recording everything and assisting the king. I found myself wanting to talk in very proper grammar while listening to this book. All the stately noblemen Dizzy interacts with tends to rub off on you kind of like when you watch Downton Abbey. Sounds like the reaction he wanted, sort of. :) Thank you so much for the comment and for reading my blog.